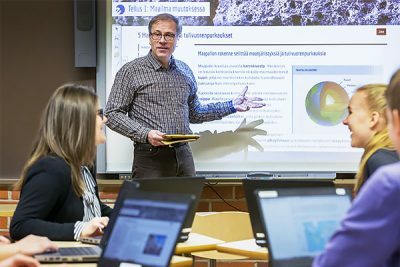 e-Oppi is a Finnish publishing house focused on e-learning materials that support lifelong learning. Since its foundation in 2011 e-Oppi has published approximately 100 e-books for basic education and upper secondary level. Our main publishing program covers the full scope of natural and social science subjects, and we’ve expanded our scope into language e-books. Our e-books are unique in the world: teachers can modify them online! We have extensive experience and expertise on various aspects of modern publishing, e.g. media compatibilities. We can sit down and have in depth discussions about how make your publishing company grow and expand. Our company masters the latest e-learning paradigms and LMS-systems. With our guidance you will learn how to help authors adapt to new educational e-environments. Work with us in translating and adapting our educational e-books to fit into your local culture.